This extraordinary volume of photography by Amit Pasricha documents India’s architectural heritage, on a scale never seen before. The book presents breathtaking panoramic views of India’s famed monuments and sites as well as little-known architectural gems. It also includes remarkable access to the interiors of India’s finest palaces and monuments. It features sprawling Hindu and Jain temples, imposing Islamic tombs and mosques, serene Buddhist monasteries, colonial and royal palaces, and majestic forts. The camera enters magnificent darbar halls where maharajas once held formal audience, and the opulent interiors of their private apartments, with mirrored decorations, chandeliers, and heavy brocades. 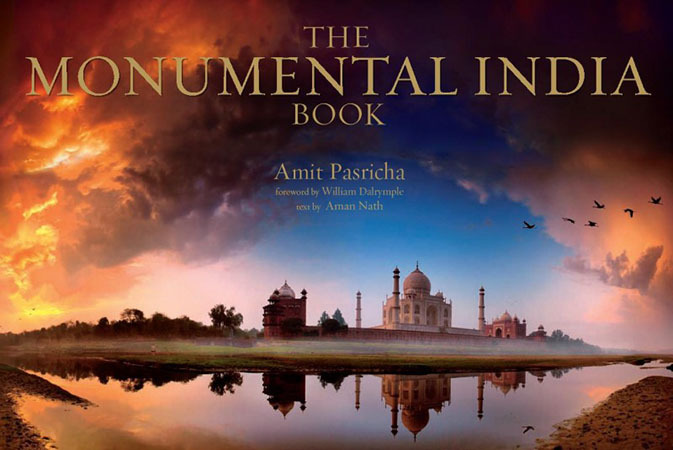 Amit Pasricha enlists the elements – sun, snow, mist, and cloud – to give the photographs cosmic drama, and his mastery of the panoramic format underscores the majesty of nature and the glory of man-made structures. William Dalrymple’s insightful text completes this beautiful collection of photographs, making The Monumental India Book a limited edition to be preserved and treasured.